Run out of fresh ideas for your marketing campaigns? 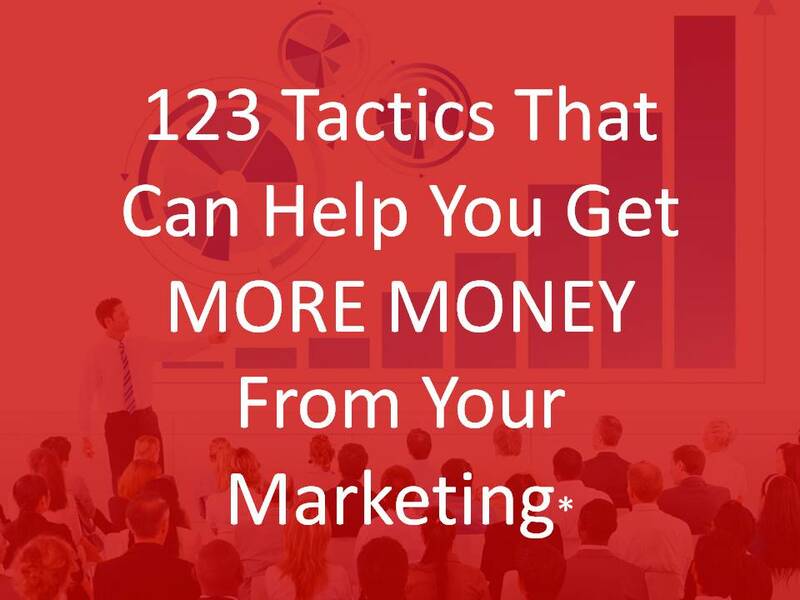 Simply use a few of these 123 marketing tactics… And never run out of great ideas again! YES, I Want The Ultimate Library Of Marketing Tactics Now!